Employers are responsible for providing a safe work environment for their employees, to prevent accidents and injury while on the job. If an injury does occur, in Illinois most workers are protected by the Worker’s Compensation Act, to ensure they receive the medical treatment they need and are compensated for the time they are unable to perform their job. 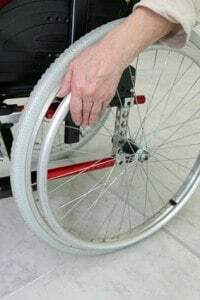 In severe cases, work injuries may result in a permanent disability that prevents the employee from returning to work, which can entitle them to permanent disability benefits. If you or a loved one suffered serious injuries and are considering if you are entitled to permanent disability benefits under Illinois work comp law, contact our office for a free case review. Rosenfeld Injury Lawyers LLC has successfully obtained permanent disability benefits for workers with various types of injuries. A complete disability that renders the employee permanently unable to do any kind of work for which there is a reasonably stable employment market. Once a worker is determined to have a PTD, they can qualify for lifetime benefits which is generally two-thirds of their average weekly wage, subject to state minimums and maximums. The minimum payment is 50% and the maximum is is 133 1/3% of the statewide average weekly wage, with this being subject to possible adjustments for cost-of-living. Those who are injured at work and are permanently disabled from their injury can receive monthly PTD payments through Worker’s Compensation and possibly also may qualify for Social Security benefits as well. In some cases, a lump-sum settlement may be offered for their injury, which while enticing can have pros and cons for the worker. Any work injury case that involves a permanent disability can be complex and difficult for a worker to negotiate on their own. Having an experienced Illinois Worker’s Compensation attorney at Rosenfeld Injury Lawyers LLC on their side can help ensure that they get the maximum benefits coming to them both through their employer and through Social Security, as well as help them determine whether considering a lump sum settlement is in their best interests.